CNC U14's are a mixture of old and new members who are moulding together very well, and as a team, are showing that they have great prospects for the future. 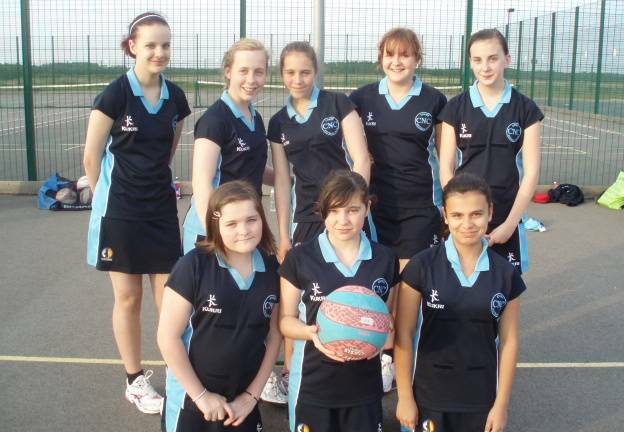 They came 3rd in the Kettering and Corby Junior Netball League Winter 2010 and aim to improve on this position in the Summer 2011 League. We have nominated 5 members from the U14's to attend the County's Talent Development Programme (TDP) trails on 26th June '11, so well done and good luck to those of you who have been selected.